A sick little video clip to start off today\’s PM update. Marcilio \’Brawzinho\’ Browne and Bernd Roediger sailing a rarely seen port-tack spot on Maui. As young Bernd continues to churn out the videos after spending endless hours on the water, will we see him overtaking his Goya team mate? Only time will tell, but both sailors are ripping in this clip! Coming up this weekend is the second UKWA Freestyle event of the year. 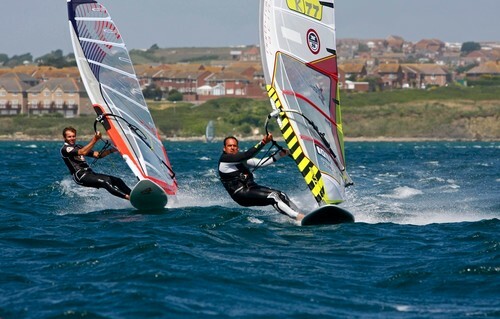 South coast spot Worthing is playing host to not only the freestyle but the slalom fleets and the forecast is looking pretty epic (click HERE). With some of the UK\’s top freestylers not making the event, it looks set to be a close battle between Adam Sims, Andy \’Bubble\’ Chambers and Phil Richards, while the slalom fleets will see James Dinsmore, Ant Baker and the up and coming Sam Sills trying to edge ahead. We\’ll bring you a ful report from both fleets on Monday. 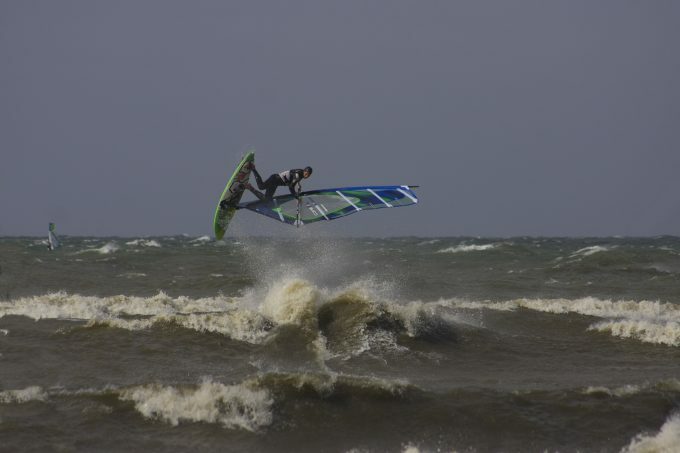 Sticking with the UK, Robin Hood Watersports held a demo event over the weekend and were graced with some awesomely windy conditions. With the first gear tester flying around on a 4.6, all in attendance had the chance to test out the latest gear from Fanatic, North, Goya, Quatro, Point-7 and more. Read all about it on our sister site Boards.co.uk and head to the Roho website to check out all of their great deals. With the Red Bull Storm Chase build-up storming ahead (get it? ), the team in Denmark are happy to announce the return of a classic event. The Red Bull Soulwave will be returning to the epic Klitmoller following a 7-year hiatus. The overall event winner will have to compete in both SUP and windsurfing, so it promises to be an epic event regardless of the conditions. For any potential entrants, head HERE to register and keep your eyes peeled for more details. Quatro International have some great riders representing in Poland and the conditions have started to turn on for the summer. Their importer, Jan, scored some epic 3.5m weather recently and is loving the Quatro Quads – more here. Chris from Zakel.ws loves nothing better than rocking some freestyle at his homespot with his friends. Check out Chris and the crew ripping it up near Patras yesterday! Kai Lenny has been at it again. Not content with multiple SUP world titles and charging huge waves on his windsurf gear, Lenny has set a new record as the first windsurfer to cross Lake Michigan. Blitzing through the 56-mile crossing at an average speed of 25 knots, Kai is stoked with the new record and has his sights set on further challenges. Check out the highlights in this clip below (German language). That\’s all the news for today, plenty more video action and news updates to come tomorrow.